Visit www.CoryLifestyles.com for community info, current listings, and free home evaluations. www.CoryLifestyles.com PREPARED ESPECIALLY FOR Call us today for more information or to schedule a private tour. 935 Tamarack Avenue | Offered at $1,198,000 3 Bedrooms, 1 Bathroom | 1,040 Est. Sq. Ft. | 7,807 Sq. Ft. Lot Loved by only two families since its construction in 1950, this immaculate home is on the market for the first time in over 40 years! Sprawling lot offering endless, future expansion possibilities! Tastefully updated home includes, remodeled kitchen with granite counters, maple cabinets, and gas cooktop overlooking fabulous, mature landscaped rear gardens. Double-pane windows, new flooring, custom paint, baseboards, and recessed lighting throughout. Brand new central A/C and forced air heating, with all-new ducts. Inviting, gas-light fireplace in serene living/ dining rooms with picturesque windows offering views of both the front and rear yards. Three spacious bedrooms and large updated bath. Attached, two-car garage with huge side yard. Two large tuff sheds (could be home office/hobby room). Inviting, covered hot tub with 220v in fabulous, private, enormous rear yard. Absolutely ready for your immediate occupancy, or expand and build your dream home. JOHNATHAN AND ANGELA-MARIE, If you would like to have your home professionally staged, photographed, and featured in our publication, which is mailed to hundreds of potential buyers, call us today at 408.666.0556. NEVA AND JESSICA ARE PROUD TO HAVE DONATED OVER $1,300 TO SHOP WITH A COP THIS QUARTER! communities, the Shop With A Cop Foundation of Silicon Valley works to shape strong partnerships, break down communication barriers, and rebuild trust through active engagement, educational programs, and community outreach. LD SO SOLD for $300,000 OVER List Price with Over 10 Offers in Just 9 Days! RECORD BREAKING COMPLEX SALE SOLD for $120,000 OVER List Price! 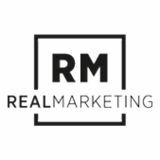 Put our customized staging, home improvement knowledge, and proven marketing and negotiation skills to work for you. If you are thinking of selling, call us today at 408.666.0556 to get started. EST. SQ. 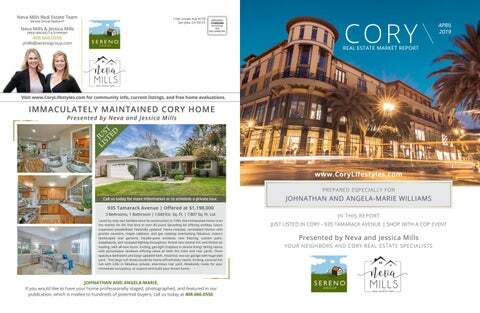 BEDS BATHS FT.
Neva Mills, Jessica Mills, and Sereno Real Estate Group are not in any way affiliated with Cory Owners Association, nor is this in any way an official advertisement or publication of Cory. © 2019 All rights reserved. This representation is based on sales and data reported by multiple brokers/agents to the MLSListings between December 8th, 2018 and April 8th, 2019. Listings and sales may not be those of Sereno Real Estate Group. The MLSListings does not guarantee the accuracy of this data, which may not reflect all the real estate activity in the area. E&OE covered. This market report is not intended to solicit properties already listed for sale nor intended to cause a breach of an existing agency relationship. *Square footage rounded to nearest hundred.